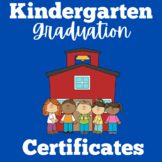 Kindergarten Graduation Certificates: These graduation certificates are a fun way to celebrate the end of year with your kindergarten students. The name fields on the certificates are editable, as are the text fields on the invitations - full instructions are included in the preview and download. 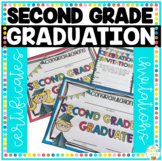 Use this cute certificate to help celebrate a student's graduation from the speech-language therapy program at your school! 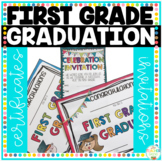 This set includes 6 different graduation certificates for first, second, or third grade. It also contains 28 premade awards and 2 blank awards. It is great for the end of the year! 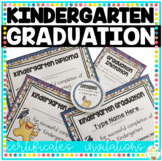 This pack includes ten owl theme certificates for your preschool graduates. Each one says, "Look Whooooo's a Preschool Graduate!" 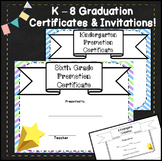 Each of the ten certificates is featured in two styles- with a color background and without. 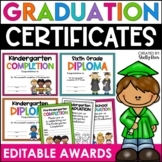 These work well as certificates or diplomas for the last day of preschool. 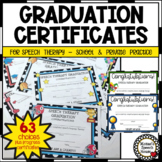 CELEBRATE your speech students' successes with this variety packet of 63 colorful graduation certificates! Progress Certificates also included. Separate files for SCHOOL SLPS and PRIVATE CLINICIANS. 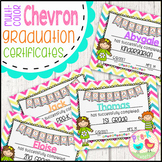 These beautiful certificates can be used throughout the year when a certificate is required. 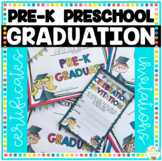 Recognize your preschool, kindergarten and elementary school graduates with this fun certificate. Adding text to your certificates on your PC is easy- directions are included. 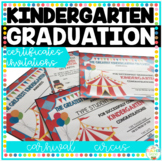 Kindergarten Graduation Certificates: Here's a set of 5 different diplomas for use as awards or for Kindergarten Graduation. 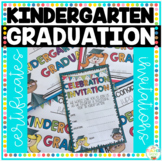 Your students will love receiving these kindergarten graduation certificates! ❤ CLICK HERE TO FOLLOW GREEN APPLE LESSONS!